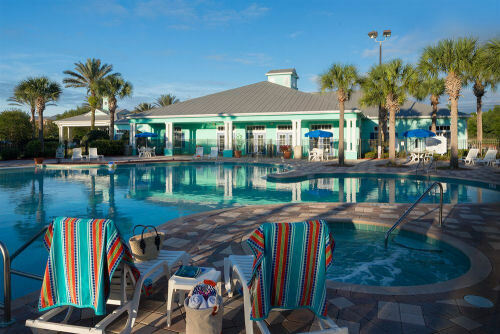 Festiva Orlando Resort in Orlando, Florida near Disney - Buy a 7 Night Stay in a 1 Bedroom Suite! Enjoy 7 Wonderful Nights at the Festiva Orlando Resort in Orlando, Florida! Children will have a great time in the playground or their very own kiddie pool. Teens and adults alike can enjoy a game of basketball or ping-pong, or even a rousing game of water volleyball in the pool. And everyone can take advantage of the fitness trail surrounding the lake, the zero-depth entry pool, an outdoor spa tub, a shuffleboard court, picnic and barbecue areas, and weekly activities. And don’t forget about your furry family members! Festiva Orlando Resort is pleased to be the only resort in the Central Florida area that graciously accepts pets (certain restrictions do apply and pets are limited to specific buildings). Central Florida is home to the world's best-known and best-loved theme parks, dining, shopping and recreation. You can save time and money by taking a shuttle to all area theme parks and shopping areas. Reservations are essential, and the resort can help you with the schedule. Check-In Dates Available for a 7 Night Stay in a 1 BEDROOM SUITE with Full or Partial Kitchen!